During a few short months of the year the sun sets in the perfect spot, creating these beautiful “sunbeams”. 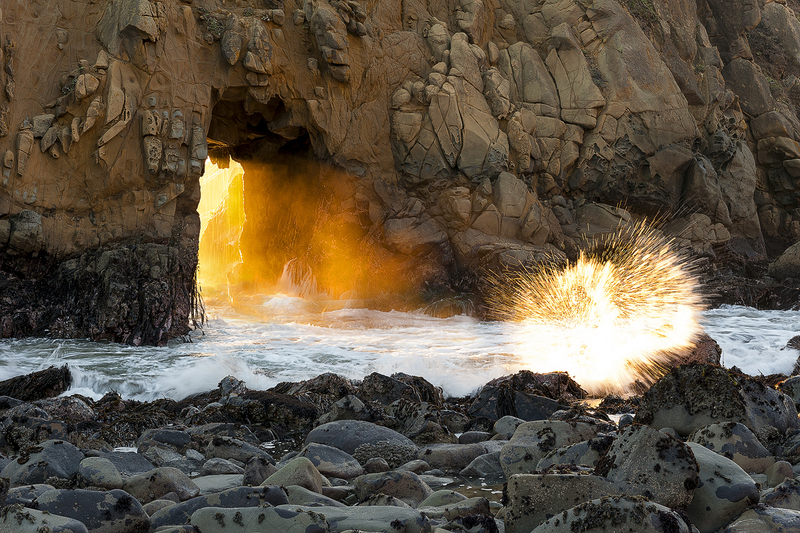 I wanted to also capture the splash on the rock glowing orange. The resulting image shows that splash to look very similar to the mythical bird Phoenix.